I've dubbed this punch Southern largely because its core ingredients are sweet ice tea with lemon and bourbon -- not much more Southern than that, friends. Plus, this punch is tasty and genteel yet packs a boozy wallop -- also very Southern, in my experience. 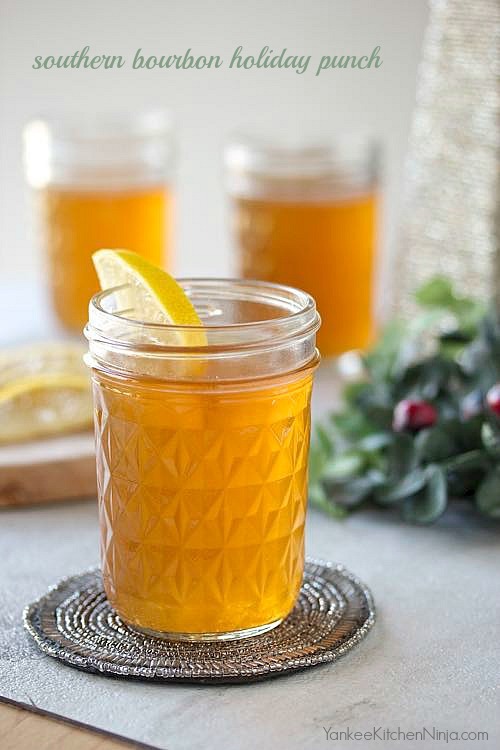 It's the perfect party sipper for a crowd, whether you're hosting a holiday party or just entertaining the family. As we move, my posting will be sporadic for the next few weeks, but don't worry: I haven't cancelled Detox January. 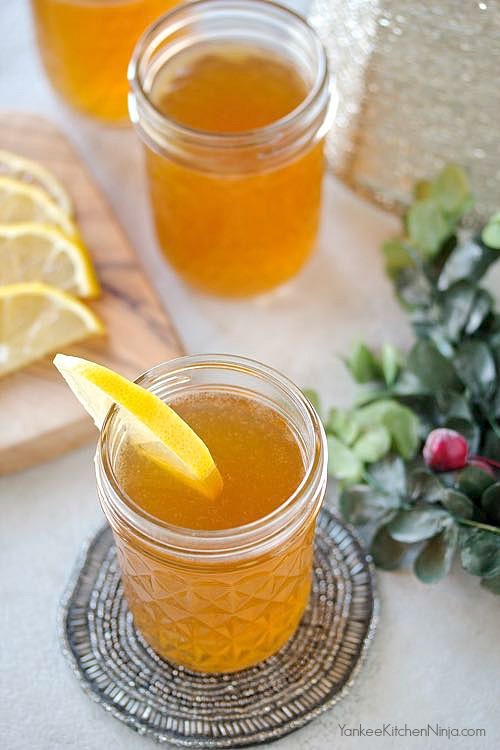 So hurry up and live it up with some Southern holiday punch. 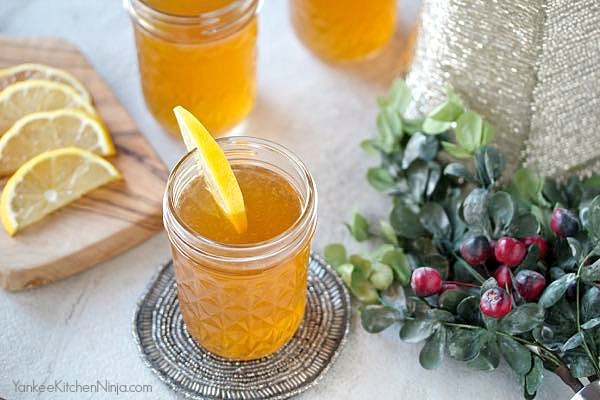 What's your favorite boozy holiday concoction? Leave a comment: The Ninj wants to know. In a large pitcher or punch bowl, add the sugar to the tea and stir to dissolve. Add all the remaining ingredients, stir well and chill. Serve in small glasses, as this punch goes down easily but packs a wallop. My kind of punch! I would love it if you would link it up to Tipsy Tuesday at Grey is the New Black.